Luca Veste’s chilling standalone crime novel THE BONE KEEPER will add a welcome dose of spine-tingling fun to your early-2019 TBR. Part police procedural, part urban legend, THE BONE KEEPER reads like the creepiest story kids in your neighborhood used to tell to scare each other… only this time, it’s all grown up, and it might just be real. In his newest work, Veste slyly weaves together a detail-oriented police procedural with a story of suspense that’s the stuff of nightmares—and the result is the twisted, engrossing THE BONE KEEPER. The ideal reader for THE BONE KEEPER will be one who loves an immersive, layered police procedural, replete with all the details of a police investigation, but who also looks for books with a unique edge and personality—all qualities that THE BONE KEEPER has in spades. This slow-burning crime novel will best suit readers who love a traditional police procedural structure; if you fall into that category, you will find THE BONE KEEPER to be a highly original - and highly creepy - winter read. What if the figure that haunted your nightmares as a child was real? Twenty years ago, four teenagers went exploring in the local woods, trying to find the supposed home of the Bone Keeper. Only three returned. Now, a woman is found wandering the streets, horrifically injured, claiming to have fled the evil urban myth. And then a body turns up. Reader, beware: Luca Veste’s THE BONE KEEPER will make you want to sleep with all the lights on. At the heart of Veste’s atmospheric and highly original crime novel is a disturbing urban legend: that of the Bone Keeper, a shadowy figure whose M.O. involves flaying his victims while they are still alive. (Like I said, this book is creepy.) The Bone Keeper is, pardon the pun, a thoroughly fleshed-out villain; despite, or perhaps because of, his “not-exactly-human” status, he will quickly capture readers’ imaginations and become one of the book’s most compelling characters. Who - or what - is the Bone Keeper? Why has he come back after all these years? What is he planning next? The search to answer these questions will draw readers down a twisted rabbit hole of local lore. There’s something thoroughly authentic about the urban legend Veste has crafted here: reading about the Bone Keeper took me right back to my own childhood, when my friends and I used to love telling scary stories to creep each other out. Now imagine taking one of those childhood stories and setting it on a collision course with adult life—that’s THE BONE KEEPER in a nutshell. Perhaps the most surprising element of THE BONE KEEPER for me personally was just how closely this book does, in fact, adhere to a classic procedural structure. Because this is such a scary story, I think I had anticipated a book structured and paced more like a psychological thriller—something with twists and turns and binge-worthy pacing. That wasn’t my experience reading THE BONE KEEPER, but that’s not a negative at all. Don’t pick this book up expecting mile-a-minute action scenes; THE BONE KEEPER is a slow-burning story structured much like a classic detective novel. What gives this book its fresh edge, though, is its horror-inspired undercurrent, and the rich authenticity of the local legend at its core. Veste masterfully balances the story’s crime fiction roots with its horror touches; THE BONE KEEPER is a police procedural through and through, but it’s a procedural that also dabbles in the world of the serial killer thriller and in the world of horror. The reader best suited for THE BONE KEEPER will be the reader who loves a layered, slow-burning traditional procedural structure, but is looking for something fresh—and scary. True to the police procedural genre, THE BONE KEEPER centers around two detectives: Detective Constable Louise Henderson and Detective Paul Shipley. This duo becomes the reader’s guide through the maze-like investigation of the story’s central mystery, with Louise Henderson quickly established as our story’s central figure. Louise is an enigmatic protagonist; a woman plagued by anxiety attacks, deeply devoted to her job, and largely unable to sustain relationships - whether platonic or romantic. While some of Louise’s traits may be a bit well-worn, there’s an air of mystery surrounding her personal life that will keep readers hooked; while Louise is investigating the alleged reappearance of the Bone Keeper, readers will find themselves investigating Louise’s own past, too. Veste drops tantalizing hints about the traumas and secrets of Louise’s childhood throughout THE BONE KEEPER, and the ultimate unveiling of those essential pieces of Louise’s character will thoroughly satisfy the reader. Detective Shipley is a well-matched foil to Louise. Where Louise is headstrong and prone to going rogue, Shipley is a constant, steady presence—the kind of responsible police officer who feels true to life in his commitment to following procedure and doing things by the book. Though Shipley may not be the most “flashy” character (he lacks the intriguing volatility of Louise), his stoic presence is a perfect counterpoint to his more hot-headed partner. If there was one element of their character development I could have done without, however, it would be the sexual tension that cropped up between the two at various points throughout the story. I’m personally prone to disliking romance in my crime novels, and while there’s barely any romance between the two to speak of, there are a few “will they/won’t they” moments that I personally found distracting. This is largely a personal preference, so do take it with a grain of salt, but I wasn’t convinced this dynamic furthered the story. I much preferred watching the way Louise and Shipley’s working styles complemented and played off one another, and would have been more satisfied had their dynamic stayed purely platonic. However, this is a very minor piece of the story, and not one that overshadowed their working relationship. Readers of police procedurals will find THE BONE KEEPER a thoroughly enjoyable and spine-tinglingly fun winter read. 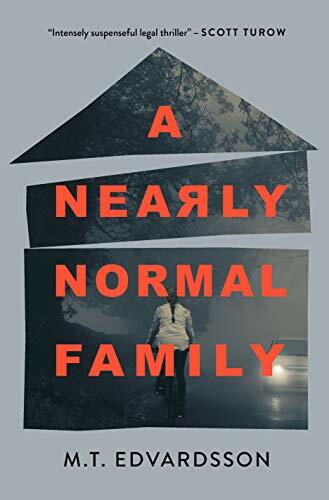 Rich in atmosphere and infused with horror-inspired scares, this slow-burning crime novel will make for a strong contender if you’re in the market for a book to cozy up with on a snowy weekend. THE BONE KEEPER strikes an excellent balance between the familiar (its police procedural structure) and the fresh (its local lore and horror touches). Veste has crafted in THE BONE KEEPER a sly, chilling story to read with all the lights on. Crime by the Book is a participant in the Amazon Services LLC Associates Program, an affiliate advertising program designed to provide a means for sites to earn advertising fees by advertising and linking to Amazon.com. This in no way affects my opinion of the above book.